In early October, Saudi Arabia, the United Arab Emirates (UAE), and Kuwait announced an economic aid package of $10 billion for Bahrain. The fiscal pledge illustrates how massive capital flows underlie the contentious politics and strategic alliances within the Gulf Cooperation Council (GCC) and the broader Middle East region. In August 2018, Qatar pledged $15 billion to shore up Turkey’s beleaguered banking system, while Saudi Arabia, the UAE, and Kuwait pledged $2.5 billion in fiscal aid to support Jordan in June of this year. Earlier this decade, Bahrain, Oman, and Yemen each received billions of dollars in aid pledges from GCC countries to stabilize their economies following the outbreak of protests in 2011. Previous financial support for Bahrain––notably the $10 billion aid package in 2011––leveraged economic development funding to address bottom-up, socioeconomic grievances that had escalated into political demonstrations and violent protests. The latest capital injection likewise permits the government to shore up political support by stabilizing the country’s economic structures. Bahrain will utilize the financial windfall to address its budget deficit, which reached 14 percent of GDP in 2017, and mitigate the negative effects of its new austerity program. However, this recent example of fiscal aid also reflects an effort by regional actors to push through top-down reforms in an increasingly polarized region. Persistently low oil prices since late 2014 and declining crude oil production have taken a toll on Bahrain’s public finances, which depend on hydrocarbons for approximately 75 percent of government revenues. The country has the highest public debt to gross domestic product ratio among the GCC member states, reaching 89 percent. Successive years of budget deficits depleted foreign reserves by about 75 percent since 2014, complicating the country’s ability to maintain its dollar peg and dispel fears of a currency devaluation. Moreover, international analysts are worried that Bahrain may not be able to redeem a $750 million Islamic bond that is scheduled to mature in November. Neither rebounding oil prices in 2018 nor a promising oil and gas discovery gave Bahrain sufficient capital to address these immediate fiscal challenges. The first installment of the aid package, which consists of $2 billion and should be delivered by the end of 2018, will afford Bahrain’s government the monetary maneuverability to avoid a full-blown financial crisis in the short term. Longer-term government efforts to balance Bahrain’s budget by 2020 and reduce annual spending by approximately $2.12 billion, however, threaten to aggravate socioeconomic grievances in the country. The new austerity program includes a public-sector retirement scheme intended to trim the number of costly government employees, new corporate taxes, a review of state spending on water and energy subsidies, and a reduction in cash subsidies to citizens. These economic reform and fiscal consolidation initiatives will inevitably mean a reduction in state spending and benefits for citizens. The phased disbursement of the aid package over the next five years can help the Bahraini government soften the impact of austerity by delaying certain measures or introducing new distributive mechanisms, such as providing entrepreneurial funding for retired government employees. 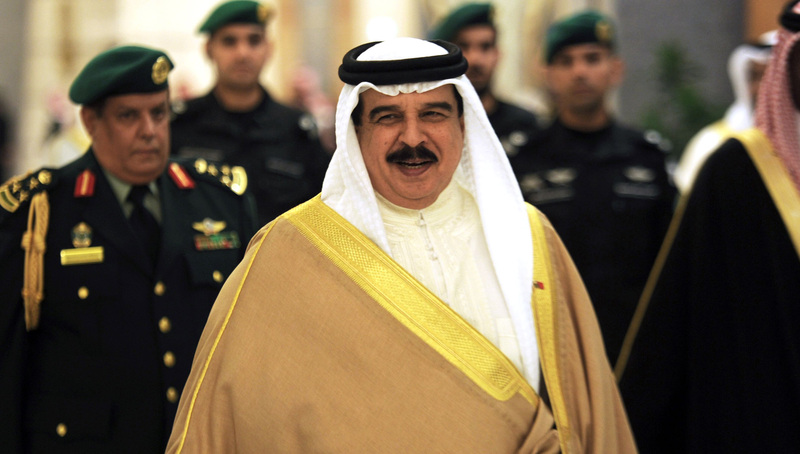 Domestic politics within Bahrain play a key role in the timing of the fiscal support. The announcement of the aid package and initial disbursement of funds coincide with the run-up to parliamentary elections, set to take place in November. Bahraini opposition groups, including the prominent al-Wefaq movement, have called for a boycott of the elections following the arrests of opposition members and their subsequent disqualification from the electoral process. Nevertheless, the parliamentary elections do offer an institutional mechanism for citizens to voice their socioeconomic grievances. Even in the event of a boycott, the elections would still give opposition groups an opportunity for political theatre. The fiscal aid package also has longer-term objectives connected to the international political economy dynamics of the region. In particular, the fiscal support reflects a broader strategy to realign Bahrain’s domestic reform agenda with key regional initiatives, such as the implementation of the value-added tax (VAT) and reduction of subsidies. Saudi Arabia and the UAE previously implemented VAT on Jan. 1, 2018, according to a GCC-wide decision. However, Bahrain’s parliament only ratified a bill authorizing VAT after the announcement of the fiscal package and a royal decree ordering parliament to decide on the tax. While implementing a five percent VAT alone is unlikely to transform the Bahraini economy, it nevertheless serves as a symbolic gesture that Gulf aid to Bahrain is neither unconditional nor limitless. Indeed,the financial aid package reportedly contains fiscal cooperation agreements.The conditions are understandable: the delayed implementation of region-wide reforms produces short-term advantages for Bahrain’s investment climate at the expense of the early adopters of the reforms and increases the likelihood that it may require additional GCC resources in the future. Unlike Bahrain, the GCC states of Qatar and Oman have greater room to maneuver around sensitive economic reforms and to manage fiscal consolidation at their own pace. Qatar remains in a strong fiscal position despite the Saudi-led economic and diplomatic blockade, and exhibits a substantial degree of economic and political autonomy when compared to Bahrain. Oman judiciously approaches offers of financial largesse from wealthier GCC member states by accepting only small, and often undisclosed, amounts of fiscal support. As a result, the structures of economic interdependence within the GCC region are highly unequal. Substantial capital flows in the form of financial aid packages increasingly reflect the new realities of the region. A GCC fraught with crisis, renewed calls for economic diversification, and polarizing foreign policy agendas increase the stakes for both the grantees and recipients of financial aid. Fiscal support to Bahrain in the aftermath of 2011 predominantly sought political stabilization through infrastructure expenditures and thus made little impact on economic reform agendas. It remains to be seen how long these capital flows will continue and whether or not they can achieve sustainable economic results in the kingdom. Robert Mogielnicki is a non-resident fellow at the Arab Gulf States Institute in Washington and a senior analyst with The Siwa Group. He is also a PhD researcher at Magdalen College, University of Oxford, where he specializes in the political economy of the Middle East and North Africa.